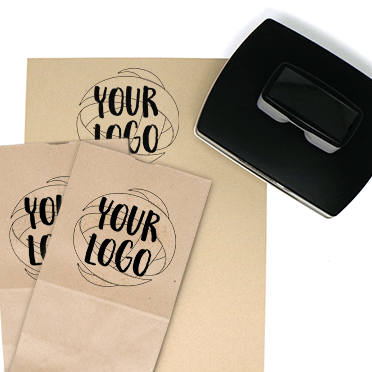 Use your logo stamp for stationery, napkins, business cards, mailings, and more. 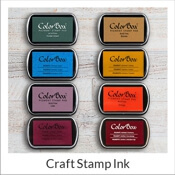 We are here to help you find the right stamp so that everyone can admire your unique company logo and artwork. Determine Material. 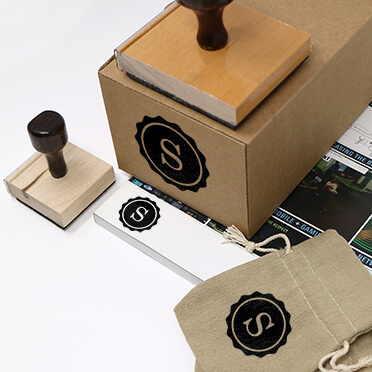 For stamping material that is not paper, choose a wood-handled stamp with Trodat ink pad (cardboard or burlap) or supermarking ink pad (glossy surfaces). Consider Paper Options. 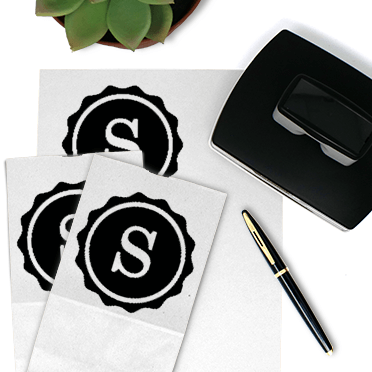 If you plan to stamp on paper goods (stationery, business cards, gift bags, to-go boxes), a self-inking or pre-inked stamp can work well. 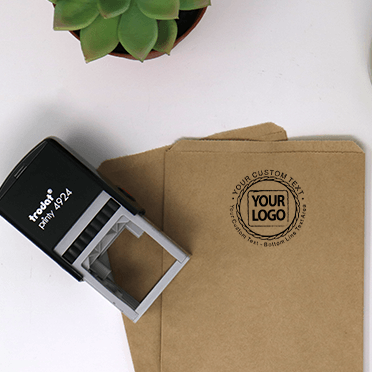 It's best to stamp on flat surfaces. 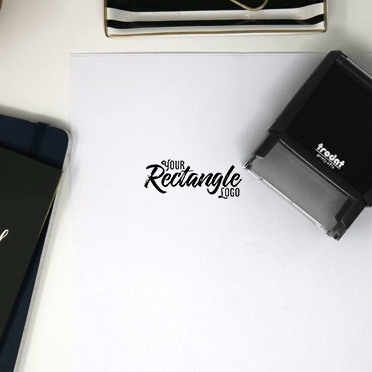 Evaluate Your Logo. 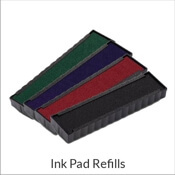 If you have a detailed logo requiring precise impressions, choose a pre-inked stamp (lt). 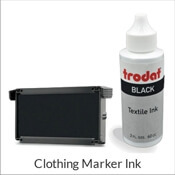 For a simple logo and rapid impressions, choose a self-inking stamp (rt). 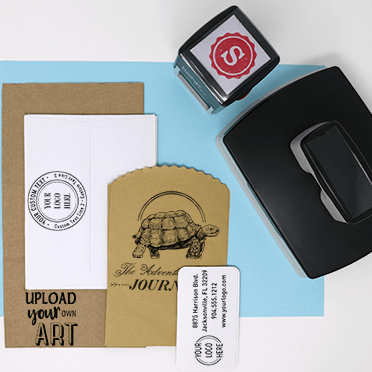 Do you already know what stamp size and shape you are looking for? 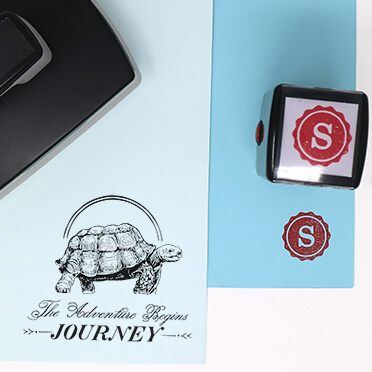 Here are some of our most popular logo stamps so you can choose your stamp, upload your logo or art, and get started right away! Accepted files include AI, PDF, EPS, TIFF, JPG, PNG, and BMP. The best stamps come from original vector artwork. 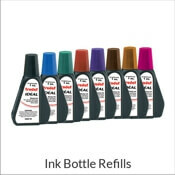 If you request a proof, we will send to you only AFTER you order your stamp. Logos with complex gradients and shading details are difficult to replicate. 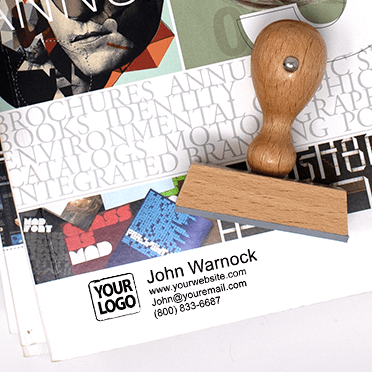 Once you get your stamp, test your impressions on a flat, hard surface for best results.